Alright, so Kashizudoto had just abandoned everything that he was going to do at the market, going out of his way to help a blind boy find the lost shipment of citrus fruits in the forest. What happened? It all started at the marketplace, as was already said. Kashizudoto was going there to buy some fresh fruits. As he made his way to a reliable kyoho stand to buy some, a boy bumped into him. It took Kashizudoto little time to notice that the boy was blind and offered him a hand (not in a literal way - as the boy seemed to expect at first) in finding his way to various stands. Somewhere along the conversation, they both found out that the other person was a genin, much to the satisfaction of both of them. The boy said he needed some citrus fruit, so Kashizudoto brought him over to a reliable stand that he knew sold lemons, oranges, and other citrus fruits; however, to his surprise, the stand was empty. The vendor told him that, for some reason or other, the shipment - supplied by Kodashi Town - didn't arrive on time. So Kashizudoto - along with the blind kid - decided to travel all the way to through the Dense Forest to that town to find out what happened. They made a dead right turn at the village gate, and now they were jumping through the trees, Kashizudoto making sure that the kid was alright. Truth be told, Kashizudoto had never actually been in the Dense Forest. It was the cover that protected Konohagakure from enemies, but it was also, consequentially, the most dangerous part of the wilderness. Rumors had it that there were a lot of bandits, missing-nin, and other criminals scattered around there - bad news for the blind kid - along with, of course, dangerous wild animals and toxic plants. He really hoped that this kid's enhanced sense of smell would help him to keep himself safe. The place was extremely dark, a result of the tall trees covering up the sun's rays. That gave fungus the perfect conditions to grow all around - many being very toxic. Bats and such were also a common occurrence - at least the blind bats could sympathize with Takashi. The moist, cool air was a little unsettling in such a setting, but Kashizudoto was sure that the boy, being blind, would be able to use the air as one of his cues to replace vision. He hoped that one day this boy would get a pet, maybe a dog or even a cat, to be his set of eyes. Kashizudoto had done about five missions before; however, he'd never done one off the cuff without any wages like he was doing now. He was just doing this adventure out of his heart, for the sake of protecting the village and the next generation of shinobi. This was something that almost any Sarutobi - excluding perhaps his vile, mentally insane parents - would do. Since this wasn't really an assigned mission, he wouldn't be reporting back to Konoha's Administration Building. However, he would obviously be reporting back to the vendor on the situation, hopefully with citrus fruits and a mission complete. Kashizudoto definitely had his doubts that this boy's headband was there for anything but show. That is, he doubted that if a criminal showed up, the blind boy would be ready to fight alongside him as an equal. Perhaps this would change if Takashi got himself a seijutsu pet, of course. So, at least for now, Kashizudoto would have to protect the boy. Of course, like any Sarutobi following the Paladin Path of the Will of Fire, he would "defend" in his own way. That is, he would use offense as a defense. This sort of style was widely criticized, of course, by the Sarutobi clan members following the Sentinel Path of the Will of Fire, who preferred direct defense over offense. So if he was going to protect the kid from anything, it would be through beating the living crap out of the criminal(s) before they could get to him. An effective strategy, at least in his view. All Takashi had wanted this morning was a citrus fruit tea. And now he was in the Dense Forest on a mission (almost). But the mission seemed very real - he even had a fellow shinobi to assist him. The only worry Takashi had was that there were no Ninnekos nearby. Well, that's what he thought at least. An average cat you could easily smell around the corner. But Ninnekos of Nekomata clan were very hygienic, because that was a ninja's weakness - if a good ninja is unseen and unheard, then he most likely can be smelled. But not a Ninneko. This adventure offered many new experiences for the young genin. He was so inexperienced, that he hadn't even been to the Dense Forest ever before. But Takashi didn't mind jumping across the forest right next to Kashizudoto. He believed that Kashizudoto was a fine ninja and he wouldn't accidentally miss a branch to land on. So as long as his friend was right next to him, Takashi had no problem to orientate in the forest. However, the young Nekomata didn't dare to show his innate ability of cat's legs. Today he was just jumping casually and not showing off. The path to Kodachi Town seemed safe enough for the locals to take every day. But what really was Kodachi Town? Home to a bunch of farmers? Takashi had never heard of this town. Why would it be located in the Dense Forest? Is the soil here better than in peaceful plains? Does it rain more often? Is the climate here better for citrus fruit? Maybe citrus fruit grow so big due to effects of toxins? Or maybe Kodachi Town's citizens are some kind of slave keepers and use child workforce to grow the fruit? The negative thoughts sure fired Takashi up. He then heard someone in distance in front of both ninjas. "What do we do now?" There was no mistaking that those were the terrible people of Kodachi Town. Takashi pointed his partner towards the direction of sound - in case there were a lot of leaved and Kashizudoto couldn't see or hear the people ahead. When Takashi was close enough, he made a surprising landing right in front of these people. He did it on purpose, so he could hear an exclamations or other startled sounds from the people. That way he could count, how much of these villains he has met. It was two men who responded to Takashi's entrance in the scene. One of them simply gasped loudly, the other was exclaimed "What the hell!" Takashi couldn't judge what had happened here, since he didn't see anything. His senses couldn't see that the merchant's cart's wheel was broken. Takashi wasn't even aware that there were no citrus fruit in the cart, but he still could feel a faint scent of fresh lemons lingering around. Then, without asking any questions, feeling big and mighty, and still thinking how Kodachi town's villagers enslave children (although this thought had no sensible basis), Takashi turned to his partner and asked "So, what are we going to do with these criminals?" The blind boy seemed to be following Kashizudoto just fine; it seemed that his enhanced sense of hearing was coming in handy. After at least fifteen minutes of leaping from tree to tree through the Dense Forest (Kashizudoto was faster than his counterpart; however, he had to slow down for the blind boy, as the safety of his comrade was more important than this simple task), they started hearing commotion. Were these the good people of Kodachi Town? "What do we do now?" yelled a man not far from the two genin. This suggested that perhaps their cart broke down along the way and that they were now panicking to try and find a solution. Takashi, meanwhile, pointed Kashizudoto to the exact direction of the sound and surprised both Kashizudoto and the two men by instantly leaping in front of them. "What the hell!" screamed another man looking at the genin. Knowing that his partner could possibly cause unnecessary trouble, Kashizudoto rushed over, again startling the men - of course. The first thing he noticed was that their cart was completely empty, devoid of anything. Kashizudoto did, however, pick up a faint scent of citrus fruits. They had to be nearby. On closer inspection, they were scattered on the ground right in front of the cart. They must have fallen off. But how? Then he saw a more important thing: the front left wheel of the cart was completely broken. Hmmm... This looked like a tough situation. "So," asked Kashizudoto's partner, "What are we going to do with these criminals?" Wait, what? Did Takashi just refer to the townspeople as criminals? "Huh?" said Kashizudoto in a very puzzled manner, "Criminals, you say?" He raised an eyebrow, although his partner certainly wouldn't be able to pick that up. The two men were equally confused at this accusation. However, their looks of confusion soon switched to desperation as they pleaded with the two. "You two," said one man, "You must be shinobi from the hidden village, right? You've got to help us! Please!" "We admit, we slept in just a bit!" said the other man, "But then the worst thing happened to us! Our cart broke down and our fruits went flying into the ground!" It was alright that they'd fallen into the ground; they could always be washed later. After all, they did come from the soil anyway. But the cart... That was another issue. "Well," said Kashizudoto as he immediately came up with a solution, "If you can't wheel a cart down, then carry it." Yup, with the combined strength of all four, they could definitely carry it back to Konohagakure. At least, if there weren't any... interruptions along the way. As soon as he thought that, three bandits jumped out right in front of Kashizudoto. Another three jumped out right in front of Takashi. So six in total. As a ninja, Kashizudoto knew they would be easy to take all of them down alone considering how weak they were compared to him, but he had to remember that now, he had a blind kid as a partner who he needed to protect. Of course, he wasn't going to patronize the kid, but Kashizudoto sure wasn't going to let him get hurt. "Give us the fruits!" yelled one of the bandits in front of Kashizudoto. Rather than attempting to negotiate with these bandits, Kashizudoto responded by blowing out a great fireball in the form of a flamethrower at all three bandits in front of him. This blowing out of flame would be loud enough for Takashi to hear for sure, and the screams of the three bandits as they got minor second degree burns on exposed skin and major first degree burns on unexposed skin would easily alert the blind boy that Kashizudoto had one-hit knocked out the three bandits in front of him. As he did this, the three other bandits all began to charge at Takashi. Now that Kashizudoto was done with his fireball, he instantly formed four hand seals. Dragon → Rat → Horse → Tiger. And with that, he extended his chakra to the broken wheel, levitated it (much to the fascination of the two bystanders behind him), compressed it, and flung it at the forehead of one of the bandits, knocking him unconscious. Alright, now there were two more charging at the blind boy, so Kashizudoto breathed out a stream of flame from his mouth right between the two bandits and Takashi, in which one bandit got minor first degree burns and fell backwards to the ground in pain and another managed to dodge, starting to retreat. No, Kashizudoto wouldn't let this guy escape without a lesson. He shot a bullet of flame out of his mouth, not at the bandit but rather at the passage that he was trying to escape to. It instantly caught fire and the bandit now had no way to leave. "Alright," said Kashizudoto, "Go get him Takashi!" The bandit yelped, alerting the blind boy to his position. Range: Can make shuriken from any point 4m from the user. Description: By making a string of hand seals (Dragon → Rat → Horse → Tiger), the user extends their chakra to nearby objects; they can be flat, such as tiles for shuriken, or longer items can be used as kunai. These are then compressed, sharpened, and levitated all at the same time; then, they are launched at the target. While the user cannot control them beyond this point, the utility of this technique being able to weaponize the surroundings is a very handy tool. The objects used can pierce up to 3/4 inch into the target; up to 10 objects can be turned into weapons. Description: A basic Katon technique, the user opens their mouth to create a stream of fire with a three meter radius, coming out at 15 meters per second, which causes minor 1st degree burns upon impact. Description: The user converts chakra in their mouth into fire, and shoots it at the target in the form of a (4m long x 3m wide x 3m tall) flame projectile that moves at 20m/s. On-contact, this results a painful burning sensation on the hit area. Upon impact the jutsu inflicts major 1st degree burns, which intensify to minor 2nd degree burns after the initial post if allowed to continue burning. This technique can be used strategically to let the ninja cut off an escape route, as the Flame Bullet will continue to burn on any surface it hits, even if not normally flammable. The two criminals now were playing innocent. They even wanted two loyal genins of Konoha to help them! That was outrageous! Takashi was still having thoughts how these two men were terrible people "Not only they use children workforce, they even permit themselves to sleep during the day!". Deep in his daydreams, Takashi did not notice how he was called to help with carrying the cart. He only regained his full attention, when Kashizudoto had already used his ninjutsu. It was truly a strong and fearful jutsu. The blind boy rarely used his sense to feel temperature - it didn't mean much, but in this occasion he could easily feel the heat coming released with the jutsu. It was frightening since those caught in the fire were screaming. Can everyone in Sarutobi clan do this? Was it a fearful clan? Were everyone there so strong? What if Kashizudoto could use this power to do something evil? No, seriously, it was time to snap out of daydreaming. Was it the citrus fruit tea he lacked? Or maybe he really needed green tea? He could hear many footsteps moving around. This was way harder than any training he had endured before. He was training among Ninnekos. The cats were way lighter, you could tell who was an ally and who was not. Here Takashi could hear at least 6 different people, but he couldn't even tell which one was Kashizudoto. Maybe Kashizudoto was where the most heat was coming from? Or maybe just a burned victim was lying there? "Alright, go get him Takashi!" were the words that made it possible for the boy to locate Kashizudoto. A voice yelped nearby in front of Takashi. The young genin looked forward and focused his eyes on the spot, hoping to scare the last bandit. A genin dressed in a robe, who hadn't shown his power yet, was staring down a bandit. It ought to be a little scary, or at least intimidating. It was time to show off a little bit. Takashi had his kunai prepared in his right hand and was holding it behind his back. Then he bended down in his knees and jumped high up. His cat's legs Kekkei Genkai made him fly up almost 6 meters with ease. He then safely landed right in front of the bandit and whispered to him "Run." It was a gamble. Takashi hoped that this petty bandit was scared seeing his friends get hurt by a kid like Kashizudoto. This bandit made the right decision and ran away jumping through the fire in passage. Now bandits were dealt with. Of course, Takashi could take no credit for it, so he then stopped being all dreamy and came to a conclusion - villains don't rob villains. If those bandits wanted these citrus fruits, then these folk are alright. "Let's go!" Takashi was already holding onto the cart, ready to push it. 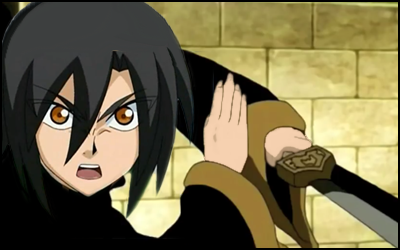 After all, they were headed back to Konoha, so why not offer a hand? Maybe they would even get some fruit as a reward. Shortly after starting the journey back to Konoha, Takashi got a little talky. First, he apologized:"Hey you two!" he turned his face to one of the farmers, "You are alright I guess. I'm sorry for calling you criminals. No, I didn't sense those bandits at that time. I just thought you were bad people. But you are not. Sorry!" Second, Kashizudoto's abilities could not leave his mind and he spoke to the fellow ninja:"Hey, Kashizudoto. Your abilities. They're really impressive. I mean I have never felt anything like that. That power was scary! Pardon me, but are you... are you really just a genin?" "Not only do they use a child workforce," said Takashi in a bit of a daydream, "They even permit themselves to sleep during the day!" So first he calls the two folk from the town criminals, and now he's accusing them of using child slave labor? Looks like this kid was having a serious daydream. Once Kashizudoto dealt with five of the bandits, trapped another one, and then told Takashi to deal with him, the boy jumped over to the bandit and whispered something. What was he doing? Just stab him with the kunai already! However, he let the criminal get away - allowing the bandit to literally leap through the fire. Oh, well. At least the burns from passing through the flames would teach the guy a lesson. As for the merchandise, the citrus fruits were still scattered on the ground; however, they weren't ripped or punctured. Because of that, they could easily be cleaned with a little water to be sold in the marketplace as normal. "Let's go!" said Takashi, now very excited. "Alright," said Kashizudoto as he helped pick up the cart with the three other people, "Let's head off to the village." And with that, they were all off. "Hey, you two," Takashi said along the journey back as he turned his face to one of the men, "You are alright I guess. I'm sorry for calling you criminals. No, I didn't sense those bandits at that time. I just thought you were bad people. But you are not. Sorry!" Well that was random. What would give the blind boy the impression that they were horrible people? Perhaps he was a little... sheltered. "Ah," said one of the men, "It's alright, kid." It seemed that the townsperson also had a lot of sympathy for Takashi's blindness. "Hey, Kashizudoto," Takashi said, "Your abilities. They're really impressive. I mean I have never felt anything like that. That power was scary! Pardon me, but are you... are you really just a genin?" To be honest, Kashizudoto didn't really think much about his performance back there. It was extremely lackluster compared to what he would normally be able to pull off. He really didn't consider his power anywhere near the realm of 'scary'. As for the question about him really being a genin, he - in fact - was one, although he was being considered for chuunin by the upper administration. "Yup," said Kashizudoto, "In fact, I'm fresh out of the Academy. That said, I'm probably gonna be promoted to a chuunin soon. Frankly, what I did over there was nothing. I would have brought along a katana if you wanted to see some real fireworks." He hoped that he wasn't making the kid feel bad. Then he came up with a suggestion. "Hey, if you want to become stronger," said Kashizudoto, "You should get a ninja pet to act as your eyes." In hindsight, his daydream really proved to be just a silly mistake. The suppliers were quite okay with it, since they answered:"Ah, it's alright, kid." It was pleasing and calming, that they didn't have bad feelings toward Takashi. "So, why is Kodashi Town located in the Dense Forest?" Takashi inquired, in order to not make any silly assumptions again. The explanation satisfied Takashi's curiosty:"We've been living there for a long time. It's always sunny there and hot. It doesn't rain too much, but the little we get keeps the air very moist. And if you are worried about toxins - there are none. If there were any, no one would ever buy these fruit, but as I said - even my ancestors grew fruit there. It's a great village! You should come visit some time!" Actually the invitation didn't even sound that bad. "I bet they even have some unique tea recipes I have not heard about! 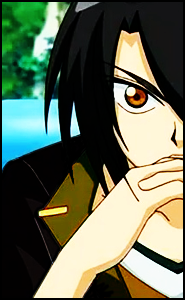 "- it was all Takashi could think about. He didn't say it, but he did plan to visit the village. Especially if Kashizudoto would come too. But after praising Kashizudoto, Takashi didn't bring up the topic of visiting Kodashi Town. Currently their objective was to get these fruit back to Konoha's marketplace. And at this point Takashi was mildly afraid from the other genin. He had promised even bigger fireworks. The whole adventure made Takashi very anxious about his abilities. From now on, he will practice more and he will get a pet as well. "Kashizudoto, did you know that Nekomata's usually have a Ninneko companion? I will have one very soon. It's just that they don't have one assigned for me yet. It will be a very special friend. Someone whose sight is better that anyone's. Someone who will care for me as much as I will care for him. I will make sure to introduce you two, when my feline friend will loyally follow my ninja way." A promise was made on the way to Konoha. Takashi was smiling, but facing ahead. His mind was at ease now. His first mission was a great success. And he had made his first friend. "Oh! Do you think I can have one of those?" Takashi's nose noticed the scent of lemons and he pointed to the cart's contents. After he had received an approving answer, he grabbed the first lemon he touched and put it inside a pocket in his robe. He would save it for later and prepare a fine tea with lemon slices.